What Is The Right Inbound and Outbound Marketing Mix? Utilizing the right marketing mix can mean the difference between a healthy growing business, and going out of business entirely. Today, outbound marketing and inbound marketing are the two primary forms of marketing to potential customers. Understanding the proper mix between the two can be vital to the success of your business. 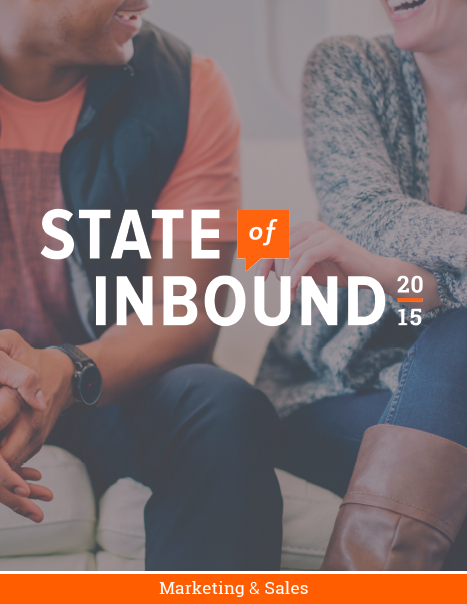 The State of Inbound report published recently by Hubspot gives insight into what that mix should look like. For those not familiar with the terms "inbound" and "outbound," inbound marketing is defined as promoting a brand through different forms of content, which then attract customers in various stages of the buying funnel. In other words, companies publish compelling content that adds value to the consumer, in hopes those customers eventually come back to make a purchase. Popular inbound tactics include blogging, podcasts, social media, how-to videos, and eBooks. Outbound marketing is the opposite, whereby the customer is approached and persuaded to make a purchase. Popular outbound tactics include TV advertising, cold calling, direct mail, and display advertising. There is no marketing silver bullet. Every business is different. A variety of tactics are necessary to hit the right people in the right way. Your strategy is defined by how your users behave. Some businesses rely mostly on inbound tactics to drive qualified leads, sprinkling in outbound tactics as needed. Larger, more established businesses built their companies ONLY using outbound marketing tactics, but are now exploring new methods. As technologies develop and consumers expect more thoughtful, personalized communication, marketers must adapt. Marketers will also continue to face increased marketing ROI challenges as the consumer experience becomes more fragmented and competitive. To do this, the right marketing mix is vital. The right marketing mix begins with understanding the need. As a business owner or marketer, you know what keeps you up at night when it comes to marketing. If you’re like most, finding the best return on investment (ROI) is near the top. 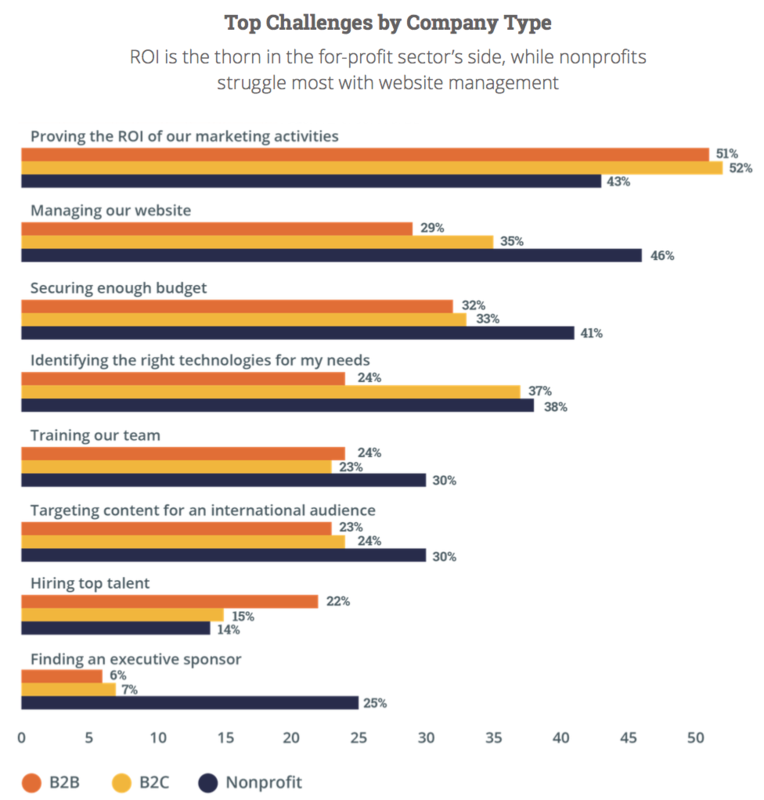 According to the report, proving an ROI on marketing spend is considered the largest challenge by over 50% of both B2B and B2C marketers, regardless of company size. Similarly, securing budget is considered a top pain point for about a third of marketers. To mitigate these issues, marketers will look towards tactics capable of both reporting and delivering ROI. The reasoning is simple: the better they can demonstrate the impact of their marketing investments, the more budget they will receive. How Does Company Size Influence Inbound And Outbound Approach? The smaller the company, the more pervasive inbound marketing, while larger companies are likely to deploy a mixture of both. 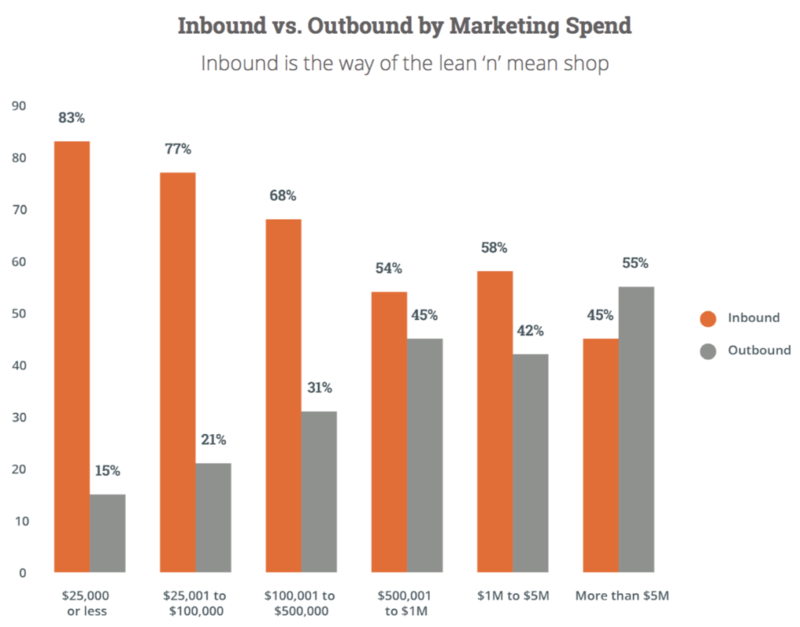 For businesses with less than 25 employees, inbound is used by a whopping 84% of firms, versus just 13% for outbound. For companies with less than 200 employees, outbound marketing is deployed by 27% of companies, versus 71% for inbound. 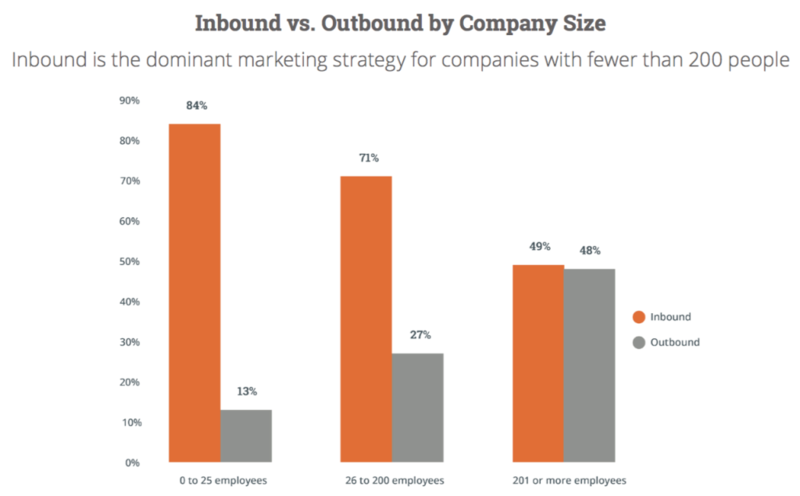 For companies with more than 200 employees, an equal amount of both inbound and outbound tactics are used. When it comes to digital spend, the smaller the budget, the more funds are allocated towards inbound as a percentage of total spend. For businesses spending less than $100k/yr in marketing ($1.5MM/yr in revenue and less), inbound marketing consumes 68% to 83% of total budget. Only for businesses spending more than $5MM in marketing (at least $60-$70MM/yr in revenue), do outbound costs begin to exceed inbound costs. This is somewhat intuitive. The bigger the company, the bigger the budgets. Outbound marketing channels such as display and paid search can consume tens of thousands of dollars in a single day. For companies with a lot of budget to spend, these channels are natural fits. 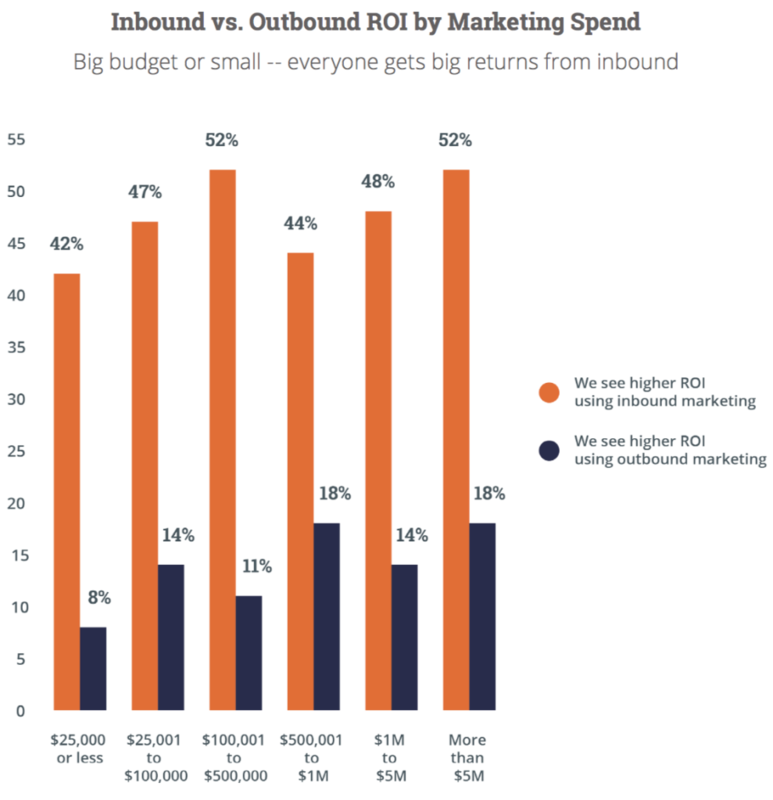 Interestingly, the size of a business doesn’t impact the perceived ROI of inbound. On average, 50% of respondents claim to see higher ROI using inbound marketing, while approximately 14% see outbound as the higher ROI channel. This reads as a contradiction. Why would large brands, who see a greater ROI from inbound than outbound, still invest so heavily in outbound strategies? They may just be stuck in their ways. Companies have invested in outbound tactics for decades. Completely eliminating these approaches (and relinquishing budget) doesn’t happen overnight. Companies have also become complacent in the murkiness of marketing ROI. Therefore, they remain comfortable investing in channels which can’t definitively prove ROI. 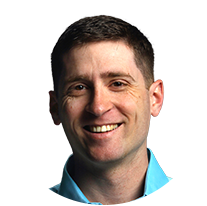 Whatever the reason, there’s a serious disconnect for larger businesses between ROI and marketing investments, and its costing businesses billions of dollars. Outbound marketing tactics have undeniably fallen out of favor, but that doesn’t mean they’ll die off completely. Marketers abandoning outbound tactics will make for a less crowded, less noisy space. This alone could lead to opportunities. Furthermore, companies without an ROI focus will likely continue to invest in non-accountable channels. Finally, companies capable of showing the ROI of outbound methods (difficult, but not impossible) will continue to invest in those channels, and rightfully so. What drives the final decision? It’s ultimately on each business to understand their customer journey and the channels which lead to success. Companies with a focus on ROI, regardless of their size, should favor inbound tactics, while outbound tactics should be used cautiously, and with a higher degree of accountability. Want to read the full report? Click the link below.